Today is the first day of school, I love school. (I could live without math though.) Thank-you for writing Aunt Ang and Jess! 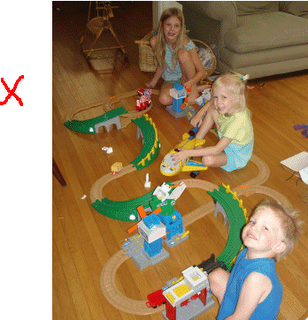 Hi Aunt Jessi, in one of youre coments you asked were I was, X marks the spot! I'm getting kind of tired of reading my own blogs only. Today when Mommy and I were in the car I said that I sure was glad there were no ticks in the 'boro. Did you know that if a tick with Lime Disease bites a lizard something in the lizard's blood kills the lime disease in the lizard and the stuff in the lizard blood that the tick took kills the lime disease in the tick so there is no lime disease in that tick! Sorry if you didn't understand that fact. 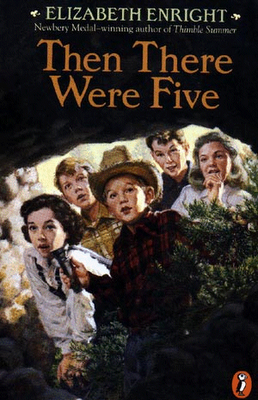 Today I finished the book Then There were Five. This book is part of the Melendy series about Mona, Rush, Randy, and Oliver. In this story they adopt Mark. Father, Cuffy and Willy Sloper are also in this book. In this book Randy finds an arrow head, the children meet Mark, and Oliver falls into a well, not to mention having a fair/auction. If I had a list of my favorate books this would be one of them. you need to start writing!!! We (Mommy and I) have been trying to get in touch with you and tell you that you need to keep writing, it just seems you don't listen. We've put coments, sent E-mails, and now I'm writing to you. Computers and TV, I wouldn't be able to live without them, I agree with you Aunt Mel! I have just moved to Blogger! You can see my previous July posts if you click here.